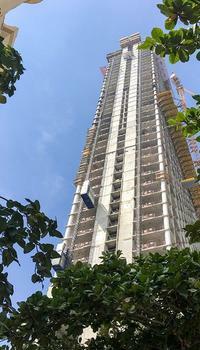 IN PICTURES - The new tower of the Palm Jumeirah complex has reached its 52nd floor and the construction of its infinity pool has been launched. The swimmers will be 210 meters high. In a city whose highest tower rises to 828 meters, the 240 meters of the future Palm Tower of Dubai may seem negligible. This is the format of the First Tower, La Defense, the current highest tower in France. And especially, unlike her French counterpart, she will soon offer an incredible infinity pool, planted 210 meters above the ground. Located at the entrance of the artificial island of Palm Jumeirah, this new construction of the Emirati promoter Nakheel must accommodate on 52 floors a hotel and housing. READ ALSO - "I live in the tallest tower in the world"
While the structure of the building is completed, the promoter organized a site visit to start the construction of the equipment that will create the "wow effect" of the place: an infinity pool installed on the 50th floor. spread over 775 square meters. Prudent, its designer presents it as "one of the highest in the world". More imposing, its rival Singapore located in the Marina Bay Sands resort boasts 200 meters of altitude. Swimmers will discover a wide panorama of the city and will be dominated by the two floors (still to be built) where will be installed a restaurant with its observation terraces. For the moment, no less than 850 workers are working on the site and this number should increase to 1500 when it comes to develop the site. 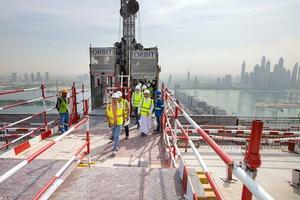 In the coming months, this tower will accommodate the 289 rooms of the Saint-Regis hotel as well as 432 luxury residences. 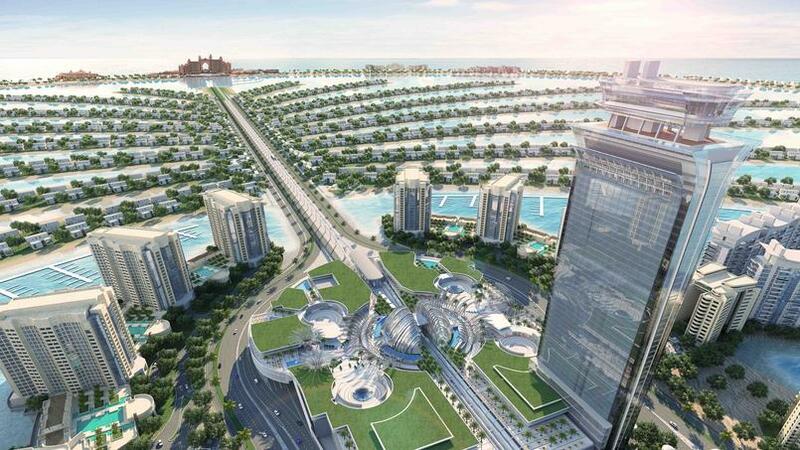 Not to mention its 22 lifts, 4 restaurants or 930,000 liters of water from the pool!